JOHN1 BOND Jr.then ELISHA2 BOND then DEKALB3 BOND, then, ANDREW JACKSON BOND, son of, DEKALB BOND 1839 and ZILPHA JANE HICKMAN was born 1870, and died 1929 in Bur in Hickman, Bond Cemetery, Stone County, MS. He married ALICE MARTHIAN ROUSE September 24, 1890 in Harrison County MS., daughter of JOSEPH PRENTISS ROUSE and MARY JONES. She was born November 24, 1870, and died 1943.Buried in Hickman, Bond Cemetery, Stone County, MS.
2. i. HOMER EDWIN8 BOND, b. March 18, 1893, Big Level MS.; d. June 1962, Conley GA..
3. ii. EUGENE HANFORD BOND, b. August 03, 1896, Big Level MS.; d. July 20, 1968, Bur in Paramount Cem Stone County, MS.
4. iii. FLENOR OLIVIA BOND, b. October 20, 1894, Big Level MS.; d. 1990, Wiggins, MS..
5. iv. EDGAR LORENZO BOND, b. January 23, 1898, Big Level MS.; d. 1966, Gulfport MS. Bur in Ten Mile Cem Stone County MS.
6. v. EARL ANDREW BOND, b. October 23, 1900, Big Level MS.; d. September 13, 1966, Vancleave MS. Buried at Red Hill Methodist Church. 7. vi. MARY JANE BOND, b. September 23, 1902, Big Level MS.; d. January 12, 1996. 8. vii. ORA ALICE BOND, b. June 30, 1906, Big Level MS..
9. viii. ANNA AGNES BOND, b. January 06, 1909, Big Level MS.; d. August 04, 1994, Bur in Ten Mile Cem, Stone Co. MS.
10. ix. POSEY NAPOLEON BOND, b. March 14, 1911, Big Level MS.; d. November 11, 1992, Hattisburg MS..
2. HOMER EDWIN8 BOND (ANDREW JACKSON7, DECALB6, ELISHA5, JOHN JR.4, COL JOHN3, JOHN2, JOHN1) was born March 18, 1893 in Big Level MS., and died June 1962 in Conroe GA.. He married BEURISA R.(SNIP) O'NEAL, daughter of ABBIE O'NEAL and MIDDIE BRELAND. She was born 1895, and died 1966 in Bur in Paramount Cem Stone County MS.
i. CLEO AGNES9 BOND, b. January 1922; d. April 1922, Bur in Bond- Hickman Cemetery Stone County MS.
3. EUGENE HANFORD8 BOND (ANDREW JACKSON7, DECALB6, ELISHA5, JOHN JR.4, COL JOHN3, JOHN2, JOHN1) was born August 03, 1896 in Big Level MS., and died July 20, 1968 in Bur in Paramount Cem Stone County, MS. He married EUGENIA CAMMIE O'NEAL March 22, 1914, daughter of ABBIE O'NEAL and MIDDIE BRELAND. She was born September 22, 1892, and died August 04, 1979.Buried in Paramount Cem Stone County, MS.
11. i. MERTZ EDWIN9 BOND, b. April 04, 1915. 12. ii. HERMAN EUGENE BOND, b. May 08, 1916. 13. iii. ESCO WAYNE BOND, b. April 27, 1919; d. June 20, 1984. 14. iv. WILLIE ANDREW BOND, b. August 02, 1922; d. December 19, 1997. 4. FLENOR OLIVIA8 BOND (ANDREW JACKSON7, DECALB6, ELISHA5, JOHN JR.4, COL JOHN3, JOHN2, JOHN1) was born October 20, 1894 in Big Level MS., and died 1990 in Wiggins, MS.. She married DELMAR D. GREEN. He was born September 23, 1895, and died October 24, 1976. 15. i. MARTEAL9 GREEN, b. April 10, 1921; d. 1976. 5. EDGAR LORENZO8 BOND (ANDREW JACKSON7, DECALB6, ELISHA5, JOHN JR.4, COL JOHN3, JOHN2, JOHN1) was born January 23, 1898 in Big Level MS., and died 1966 in Gulfport MS. Bur in Ten Mile Cem Stone County MS. He married LILLIE V. LOTT April 27, 1918 in Stone County,MS. She was born 1897, and died 1953. Buried in Ten Mile Cem Stone County MS.
16. i. DORIS9 BOND, b. April 12, 1919. 17. ii. CHARLES BOND, b. February 05, 1923; d. April 05, 1996, Gulfport MS..
6. EARL ANDREW8 BOND (ANDREW JACKSON7, DECALB6, ELISHA5, JOHN JR.4, COL JOHN3, JOHN2, JOHN1) was born October 23, 1900 in Big Level MS., and died September 13, 1966 in Vancleave MS. Buried at Red Hill Methodist Church. 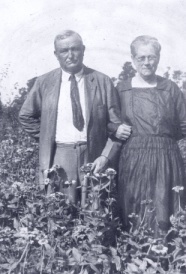 He married OTTA VIRGINIA ALEXANDER March 20, 1920, daughter of JOHN ALEXANDER and HATTIE COOPER. She was born August 21, 1902 in Ramsey Springs MS., and died April 24, 1973 in Pascagoula, MS. Buried at Red Hill Methodist Church. i. EARL GERALD9 BOND, b. November 03, 1926; d. January 08, 1935, Wiggins, MS..
18. ii. ANDREW JOHN BOND, b. December 17, 1930, Wiggins, MS..
19. iii. EARL KEITH BOND, b. August 28, 1936, Wiggins, MS..
20. iv. SR. CLEVE DENNIS9 BOND, b. December 14, 1937, Wiggins, MS..
7. MARY JANE8 BOND (ANDREW JACKSON7, DECALB6, ELISHA5, JOHN JR.4, COL JOHN3, JOHN2, JOHN1) was born September 23, 1902 in Big Level MS., and died January 12, 1996. She married JAMES K. PRICE. 21. i. JOHN KENDALL9 PRICE, b. July 15, 1957. 8. ORA ALICE8 BOND (ANDREW JACKSON7, DECALB6, ELISHA5, JOHN JR.4, COL JOHN3, JOHN2, JOHN1) was born June 30, 1906 in Big Level MS.. She married JAMES BROWN. 9. ANNA AGNES8 BOND (ANDREW JACKSON7, DECALB6, ELISHA5, JOHN JR.4, COL JOHN3, JOHN2, JOHN1) was born January 06, 1909 in Big Level MS., and died August 04, 1994 in Bur in Ten Mile Cem, Stone Co. MS. She married NOVY OTTICE BRELAND November 01, 1930 in Stone County,MS, son of ROBERT BRELAND and LYDIA STEWERT. He was born November 03, 1906, and died September 11, 1982 in Bur in Ten Mile Cem, Stone Co. MS.
i. CHERIE ANN9 BRELAND, b. March 02, 1932. 22. ii. VIRGINIA DARE BRELAND, b. July 25, 194?. 10. POSEY NAPOLEON8 BOND (ANDREW JACKSON7, DECALB6, ELISHA5, JOHN JR.4, COL JOHN3, JOHN2, JOHN1) was born March 14, 1911 in Big Level MS., and died November 11, 1992 in Hattisburg MS.. He married ELIZABETH REDDING March 03, 1934 in Stone County,MS. She was born August 30, 1909, and died July 01, 1996 in Hattisburg MS..
23. i. BETTY JUNE9 BOND, b. June 08, 1937. 11. MERTZ EDWIN9 BOND (EUGENE HANFORD8, ANDREW JACKSON7, DECALB6, ELISHA5, JOHN JR.4, COL JOHN3, JOHN2, JOHN1) was born April 04, 1915. He married LOIS BLACKWELL. She was born October 12, 1913. 24. i. ERVIN DON10 BOND, b. August 15, 1936.
ii. MERLE DEAN BOND, b. January 29, 1938; d. October 17, 1950.
iii. LINDA JEAN BOND, b. May 04, 1940. 12. HERMAN EUGENE9 BOND (EUGENE HANFORD8, ANDREW JACKSON7, DECALB6, ELISHA5, JOHN JR.4, COL JOHN3, JOHN2, JOHN1) was born May 08, 1916. He married CAMMIE FAIRLEY, daughter of ARCHABALD FAIRLEY and LENORA FAIRLEY. She was born October 13, 1908 in Daisy Vestry, Jackson Co MS.
25. i. SAMUEL CAROL10 BOND, b. December 14, 1940, Jackson MS.
26. ii. MELL ROSE BOND, b. March 31, 1942. 27. iii. INA JOYCE BOND, b. October 05, 1944, pascagoula, MS.
13. ESCO WAYNE9 BOND (EUGENE HANFORD8, ANDREW JACKSON7, DECALB6, ELISHA5, JOHN JR.4, COL JOHN3, JOHN2, JOHN1) was born April 27, 1919, and died June 20, 1984. He married FLORENCE ELIZABETH THOMPSON BINFORD. i. ESCO WAYNE JR.10 BOND, b. November 09, 1954; m. MARGARET JO MANNING, July 28, 1979, Pascagoula, By Byron Mathis; b. June 06, 1959. 14. WILLIE ANDREW9 BOND (EUGENE HANFORD8, ANDREW JACKSON7, DECALB6, ELISHA5, JOHN JR.4, COL JOHN3, JOHN2, JOHN1) was born August 02, 1922, and died December 19, 1997. He married NELLIE MILES. She was born December 26, 1916, and died April 09, 1999 in Wiggins, MS.
i. MATTIE10 LANELL. Adopted, was daughter of Nellie Miles Taylor. 15. MARTEAL,9 GREEN. (FLENOR OLIVIA8 BOND, ANDREW JACKSON7, DECALB6, ELISHA5, JOHN JR.4, COL JOHN3, JOHN2, JOHN1) was born April 10, 1921, and died 1976. She married RUSSEL INGRAM. He was born July 08, 1920, and died 1984.
i. JUNE10 INGRAM, b. November 25, 1946.
ii. JEAN INGRAM, b. November 25, 1946.
iii. DAVID P. INGRAM, b. September 22, 1952.
iv. MARK L. INGRAM, b. August 05, 1956. 16. DORIS,9 BOND (EDGAR LORENZO8, ANDREW JACKSON7, DECALB6, ELISHA5, JOHN JR.4, COL JOHN3, JOHN2, JOHN1) was born April 12, 1919. She married GRADY GRAHAM BLACKWELL. He was born August 03, 1915, and died October 10, 1995.
i. GRADY LYLE10 BLACKWELL, b. March 28, 1948; d. August 24, 1988. 17. CHARLES9 BOND (EDGAR LORENZO8, ANDREW JACKSON7, DECALB6, ELISHA5, JOHN JR.4, COL JOHN3, JOHN2, JOHN1) was born February 05, 1923, and died April 05, 1996 in Gulfport MS.. He married MARGUERITE MANTON. i. CHARLES RICHARD (RICKY)10 BOND, b. August 27, 1947.
ii. DANNY KEITH BOND, b. December 29, 1951, Gulfport MS..
iii. PATRICIA ANN BOND, b. November 11, 1960, Gulfport MS..
18. ANDREW JOHN9 BOND (EARL ANDREW8, ANDREW JACKSON7, DECALB6, ELISHA5, JOHN JR.4, COL JOHN3, JOHN2, JOHN1) was born December 17, 1930 in Wiggins, MS.. He married LULA MAE GUILOTTE May 23, 1954 in Gautier Methodist Church, daughter of NAPOLEON GUILLOTTE and SALLIE HAVENS. She was born June 23, 1932 in Home-Gautier, MS..
28. i. ANDREA LOU10 BOND, b. June 11, 1955. 29. ii. ANDREW JOHN JR BOND, b. March 19, 1961. 30. iii. TIMOTHY EARL BOND, b. December 16, 1963. 19. EARL KEITH9 BOND (EARL ANDREW8, ANDREW JACKSON7, DECALB6, ELISHA5, JOHN JR.4, COL JOHN3, JOHN2, JOHN1) was born August 28, 1936 in Wiggins, MS.. He married (1) SHIRLEY LOUISE COCKRELL September 03, 1955 in Vancleave MS.. She was born July 12, 1936. He married (2) EMILY ERAN DICKSON April 16, 1994 in First United Methodist Church of Gautier, daughter of ALF DICKSON and BONITA STOKES. She was born January 21, 1936 in Old Jackson county hospital. i. STEFANIE DAWN10 BOND, b. October 26, 1956.
ii. CHARLOTTE LOUISE BOND, b. March 01, 1959; m. JEFF MCLAUGHLIN, January 01, 1995, Houston, TX. ; b. October 11. 31. iii. LISA DENISE BOND, b. August 31, 1964. 20. SR. CLEVE DENNIS9 BOND (EARL ANDREW8, ANDREW JACKSON7, DECALB6, ELISHA5, JOHN JR.4, COL JOHN3, JOHN2, JOHN1)1 was born December 14, 1937 in Wiggins, MS.1. He married MARSHA ANN LYND1 May 28, 1958 in Gautier Methodist Church1, daughter of HARRY LYND and AGNES MILES. She was born September 15, 19381. 32. i. CLEVE DENNIS10 BOND, b. February 26, 1963. 33. ii. LAURIE LYND BOND, b. July 15, 1966. 21. JOHN KENDALL9 PRICE (MARY JANE8 BOND, ANDREW JACKSON7, DECALB6, ELISHA5, JOHN JR.4, COL JOHN3, JOHN2, JOHN1) was born July 15, 1957. He married DEBORAH ANN STERNBERG. She was born November 22, 1959.
i. MARISSA LAURIN10 PRICE, b. June 12, 1992.
ii. EMILY MORGAN PRICE, b. August 27, 1995. 22. VIRGINIA DARE9 BRELAND (ANNA AGNES8 BOND, ANDREW JACKSON7, DECALB6, ELISHA5, JOHN JR.4, COL JOHN3, JOHN2, JOHN1) was born July 25, 194?. She married (1) BILLY G. SHOEMAKE August 21, 1960. He was born August 21, 1941 in Perkinston, MS.. She married (2) DUNCAN HATTEN 1993, son of DUNCAN HATTEN and LILLIAN CLAYTON. He was born April 14, 1944. 34. i. BILLY G.10 SHOEMAKE, b. February 08, 1967.
ii. CHADWICK BRETT SHOEMAKE, b. February 09, 1976. 23. BETTY JUNE9 BOND (POSEY NAPOLEON8, ANDREW JACKSON7, DECALB6, ELISHA5, JOHN JR.4, COL JOHN3, JOHN2, JOHN1) was born June 08, 1937. She married GEORGE II MICHINARD. i. GEORGE III10 MICHINARD, b. April 24, 1965.
ii. PAUL MICHINARD, b. January 18, 1967.
iii. ELIZABETH MICHINARD, b. February 01, 1975.
iv. ANDREW BOND MICHINARD, b. June 12, 1977. 24. ERVIN DON10 BOND (MERTZ EDWIN9, EUGENE HANFORD8, ANDREW JACKSON7, DECALB6, ELISHA5, JOHN JR.4, COL JOHN3, JOHN2, JOHN1) was born August 15, 1936. He married MARY DELL SPIERS. i. DEBRA JEAN11 BOND, b. May 02, 1958.
ii. JEFFERY ALLEN BOND, b. December 11, 1964. 25. SAMUEL C. (Sammy10) BOND. (HERMAN EUGENE9, EUGENE HANFORD8, ANDREW JACKSON7, DECALB6, ELISHA5, JOHN JR.4, COL JOHN3, JOHN2, JOHN1) was born December 14, 1940 in Jackson MS. He married JOYCE IRENE PARKER. She was born February 14, 1943 in McHenry, MS..
35. i. RENNIE IRENE11 BOND, b. March 20, 1961. 26. MELL ROSE10 BOND (HERMAN EUGENE9, EUGENE HANFORD8, ANDREW JACKSON7, DECALB6, ELISHA5, JOHN JR.4, COL JOHN3, JOHN2, JOHN1) was born March 31, 1942. She married WILLIAM STEWART DALRYMPLE September 23, 1961, son of WILLIAM DALRYMPLE and EVA FLURRY. He was born October 31, 1941. 36. i. DELORIS11 DALRYMPLE, b. November 14, 1962. 37. ii. WILLIAM EUGENE DALRYMPLE, b. August 18, 1968. 27. INA JOYCE10 BOND (HERMAN EUGENE9, EUGENE HANFORD8, ANDREW JACKSON7, DECALB6, ELISHA5, JOHN JR.4, COL JOHN3, JOHN2, JOHN1) was born October 05, 1944 in pascagoula, MS. She married PALMER SPURGEON WALKER. He was born April 14, 1944.
i. LORI ANN11 WALKER, b. July 05, 1969, Gulfport MS.; m. MATTHEW JOSEPH HUGHES; b. September 17, 1972, Granite City, IL..
ii. JASON ABNER WALKER, b. February 12, 1971; m. SUSAN MICHELE COATE; b. July 27, 1969. 28. ANDREA LOU10 BOND (ANDREW JOHN9, EARL ANDREW8, ANDREW JACKSON7, DECALB6, ELISHA5, JOHN JR.4, COL JOHN3, JOHN2, JOHN1) was born June 11, 1955. She married GEORGE MELVIN BOOKER May 30, 1981 in The Chapel @ Miss State Univ. He was born December 29, 1954.
i. BLAIR CHRISTINA11 BOOKER, b. April 01, 1982, starkville, MS..
ii. ERIN VIRGINIA BOOKER, b. September 03, 1984, starkville, MS..
iii. HANNAH CAROLINE BOOKER, b. August 12, 1993, Florence, ALA..
iv. GEORGE MELVIN III BOOKER, b. September 11, 1998, Florance, Al..
29. ANDREW JOHN JR10 BOND (ANDREW JOHN9, EARL ANDREW8, ANDREW JACKSON7, DECALB6, ELISHA5, JOHN JR.4, COL JOHN3, JOHN2, JOHN1) was born March 19, 1961. He married MARY KAY STEWART May 23, 1981 in Valdosta GA. Meth Chur. She was born September 18, 1962.
i. ANDREW JOHN III11 BOND, b. July 18, 1989.
ii. WESLEY STEWART BOND, b. June 15, 1992. 30. TIMOTHY EARL10 BOND (ANDREW JOHN9, EARL ANDREW8, ANDREW JACKSON7, DECALB6, ELISHA5, JOHN JR.4, COL JOHN3, JOHN2, JOHN1) was born December 16, 1963. He married KIMBERLY ANN SCHMUCK. i. MACKINZEE VIRGINIA11 BOND, b. June 19, 1991.
ii. TIMOTHY EARL BOND, b. June 19, 1992.
iii. TRUTH ELIJAH BOND, b. February 22, 1996.
iv. TRINITY SHAI BOND, b. March 26, 1998. 31. LISA DENISE10 BOND (EARL KEITH9, EARL ANDREW8, ANDREW JACKSON7, DECALB6, ELISHA5, JOHN JR.4, COL JOHN3, JOHN2, JOHN1) was born August 31, 1964. She married DAVID LAMAR HARRINGTON October 27, 1984 in Vicksburg, MS.. He was born October 15, 1959 in Trace Regional Hospital Houston, MS..
i. ASHTON ELIZABETH11 HARRINGTON, b. July 05, 1990, Orlando FLA..
ii. HAYDEN LAMAR HARRINGTON, b. August 22, 1992, Tupelo, MS..
32. CLEVE DENNIS10 BOND (CLEVE DENNIS9, EARL ANDREW8, ANDREW JACKSON7, DECALB6, ELISHA5, JOHN JR.4, COL JOHN3, JOHN2, JOHN1) was born February 26, 1963. He married CARLA ANN MUSE July 19, 1986. She was born August 19, 1965.
i. KHRISTEN ANN11 BOND, b. September 16, 1990.
ii. HOLLY ELIZABETH BOND, b. December 12, 1992.
iii. CARLY DENISE BOND, b. April 22, 1997. 33. LAURIE LYND10 BOND (CLEVE DENNIS9, EARL ANDREW8, ANDREW JACKSON7, DECALB6, ELISHA5, JOHN JR.4, COL JOHN3, JOHN2, JOHN1) was born July 15, 1966. She married ROBERT GERALD JR MOHLER February 13, 1986 in Gautier Methodist Church. He was born September 02, 1955.
i. ROBERT GERALD III11 MOHLER, b. July 10, 1989.
ii. OLIVIA LYND MOHLER, b. January 18, 1991. 34. BILLY G.10 SHOEMAKE (VIRGINIA DARE9 BRELAND, ANNA AGNES8 BOND, ANDREW JACKSON7, DECALB6, ELISHA5, JOHN JR.4, COL JOHN3, JOHN2, JOHN1) was born February 08, 1967. He married JANALLA CODERA December 12, 1988 in Las Vegas, Nevada. She was born August 12, 1971.
i. CHELSEY NICOLE11 SHOEMAKE, b. December 12, 1989, Long Beach Califorina. 35. RENNIE IRENE11 BOND (SAMUEL CAROL10, HERMAN EUGENE9, EUGENE HANFORD8, ANDREW JACKSON7, DECALB6, ELISHA5, JOHN JR.4, COL JOHN3, JOHN2, JOHN1) was born March 20, 1961. She married MICHAEL DAVID KNOLLS. He was born March 12, 1960 in Auburn NY. i. RANDALL MICHAEL12 KNOLLS, b. April 26, 1990, Voorhees, MY. ; d. April 26, 1990, Voorhees, MY. ii. STEVEN ALEXANDER KNOLLS, b. April 09, 1992, Jacksoville, Fla..
36. DELORIS11 DALRYMPLE (MELL ROSE10 BOND, HERMAN EUGENE9, EUGENE HANFORD8, ANDREW JACKSON7, DECALB6, ELISHA5, JOHN JR.4, COL JOHN3, JOHN2, JOHN1) was born November 14, 1962. She married STEWART LEE COMPSTON September 11, 1982.
i. ADRIANE LEA12 COMPSTON, b. September 28, 1985.
ii. JUSTIN LEE COMPSTON, b. December 22, 1988. 37. WILLIAM EUGENE11 DALRYMPLE (MELL ROSE10 BOND, HERMAN EUGENE9, EUGENE HANFORD8, ANDREW JACKSON7, DECALB6, ELISHA5, JOHN JR.4, COL JOHN3, JOHN2, JOHN1) was born August 18, 1968. He married PEGGY MELINDA THOMAS October 26, 1991. She was born July 06, 1970.
i. TESSA GENE12 DALRYMPLE, b. February 11, 1994. ACKNOWLEDGEMENTS: To, Earl K Bond . Web Page Built by, Sammy Bond .